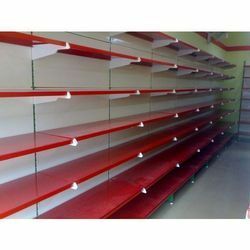 Providing you the best range of glass display shelves, ms display racks, retail store display racks, balls display racks, wall side shelves and supermarket display shelf with effective & timely delivery. Our valuable customers can avail from us an attractive array of Glass Display Shelves that is provided in the adjustable unit of 7’ Height with 7 glass shelves of 10 mm thickness of 12” x 4’ long. We offer this display unit in a wide range of designs and sizes in order to meet the variegated needs of clients. In order to meet the industry standards, we manufacture this display unit using premium quality raw material and superior technology as per the latest market trends. Used in various places like shops, malls and many more, our clients can avail this display unit from us at industry leading rates. 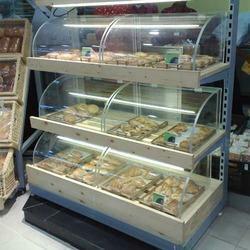 We are dealing in Mild Steel Retail Display Racks and offers it at a very affordable price. The quality of raw material used is premium and is been manufactured with all the latest technology.It is very spacious. MS Powder coated free standing single side unit with adjustable shelves with backpanel. 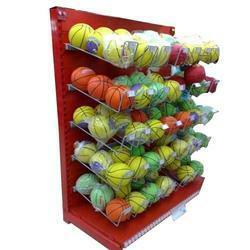 Our company has established itself as a leading manufacturer and supplier of Balls Display Racks in the market. These products from our side are made available to the customers at industry leading rates and are provided as per the set industry norms and protocols as well. These units are available in various sizes as per the requirements of our customers. 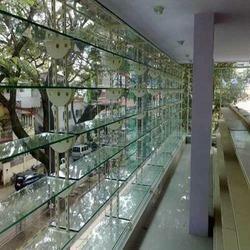 Our products are known for their optimum features like strength, highly durability and fine finish work. We always ensure the on-time delivery of all of our clients. Owing to our rich experience and vast knowledge of this domain, we have been able to manufacture and supply the optimum quality of Wall Side Shelves. 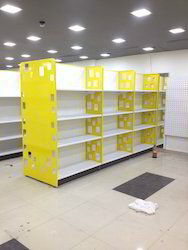 Used in supermarket, hypermarket and private shops, the offered double sided shelves are available with us in various heights and sizes. 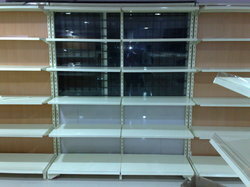 Their high load bearing capacity makes these double shelves highly demanded in the market. Being a leader of this domain, we manufacture and supply the best quality of Cutlery Display Unit at cost effective prices. Used for displaying various products in the supermarket, the offered display units are available with us in various sizes and designs. To ensure a defect-free range, the offered display units are checked on various quality assurance procedures. 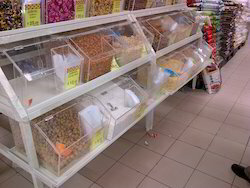 The offered Heavy Duty Grocery Shelves are used in supermarket and hypermarket for storing & displaying items in organized manner. 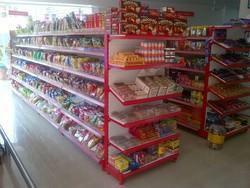 By using advanced machinery, the offered heavy duty shelves are designed as per the industry laid norms. 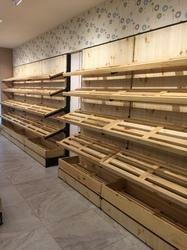 Besides this, we assure that the quality of the offered heavy duty shelves is by no means is compromised at our end. 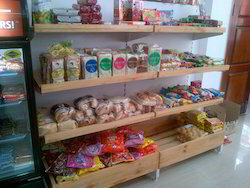 Esteemed as a reliable manufacturer and supplier, we have been able to manufacture and supply the optimum quality of Wooden Supermarket Shelves. 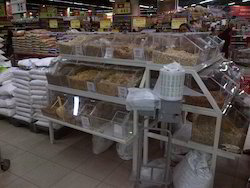 The offered supermarket shelves are recognized for their strength, durable construction and ability to tolerate high load. 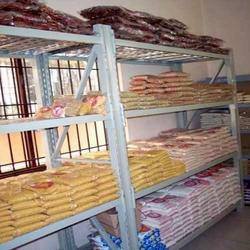 Our patrons can avail the offered supermarket shelves in various designs and sizes, as per their needs. 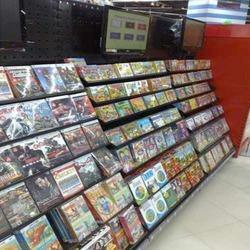 We have marked a distinct position among clients by providing them a high-quality range of DVD Display Rack. The offered units are available with us in different sizes as per the necessities of clients. Highly durable and reliable, offered units are designed and manufactured by our experienced professionals using finest quality raw material and latest technology. Moreover, the offered units are used on different places like malls, supper markets, etc and are available with us in various sizes and designs at most reasonable rates.